I bet that briar is comfy cozy soft. Wow never really thought about it but yes yes it is! Pipe to be determined after the submit click. The Royal Yacht in a Pete bulldog. 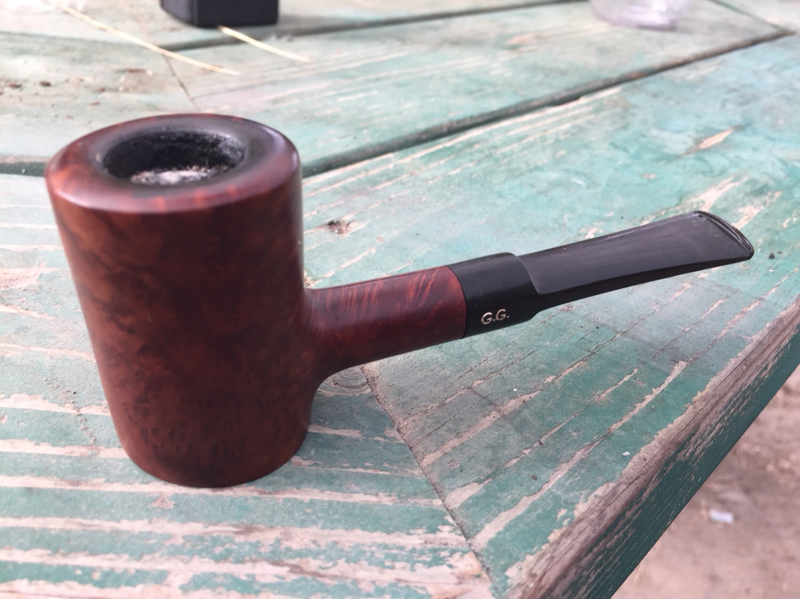 Boswell Piper’s Pleasure in a Briarworks author, on the porch with my wife and our pup. My wife loves the chocolate-scented smoke. Having some of that good old goose juice aka GH Unscented in a Moonshine Stubin while watching Starts Wars Iv and now v.
Dang this is mighty good. C&D VA Gent +14% Latakia in a chotsky Halloween thing that makes for a great drying pan. star wars vi and maybe vii. We'll see. I got me one of them too, it’s definitely in my inner circle of pipes that see a lot of action. I still say that’s the best POY we’ve done. I don't remember having this one before however, my memory isn't my strong suit.